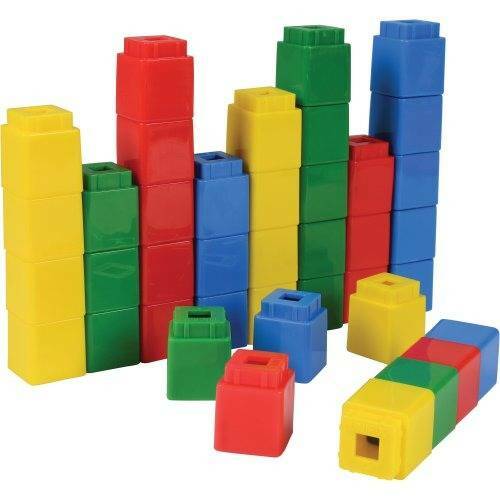 Easy-to-handle chunky connecting cubes are great for developing key number concepts including counting, one-to-one correspondence, cardinality and comparing. 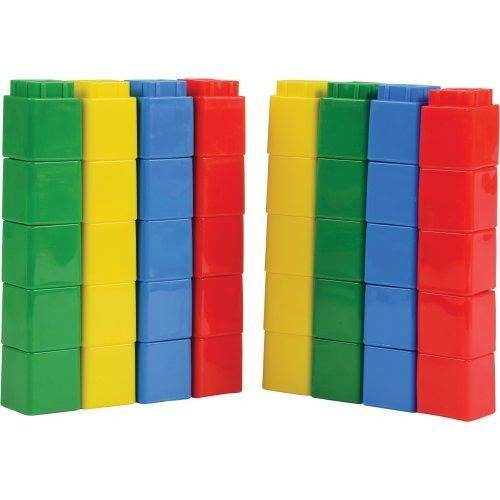 1 ½” on all sides, in four bright colors. Ages 3 yrs. +.